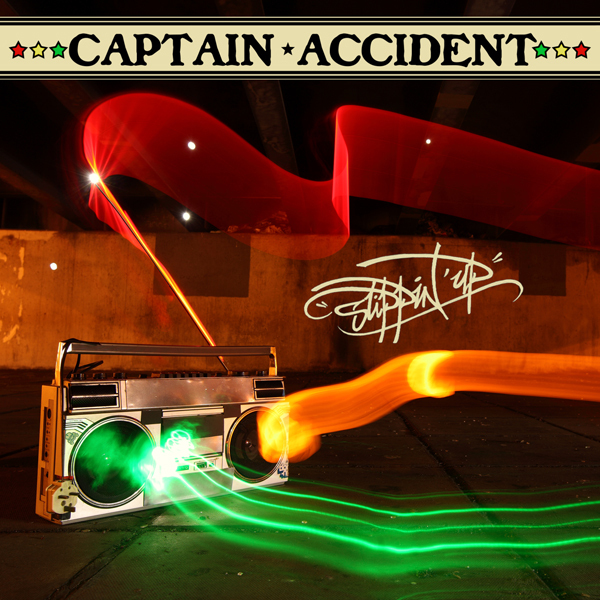 Captain Accident crashed on to the UK reggae scene back in 2009, and has been going from strength to strength ever since. What began as a bedroom project quickly turned in to a touring reggae machine! Since the launch of his debut album “Pick Up The Microphone” back in 2010, Captain Accident, along with his band of clumsy musicians – The Disasters, have been touring relentlessly around the UK and Europe, bringing his unique brand of lovers reggae / ska / soul to grateful crowds wherever they go. “Slippin’ Up” reveals a real change of pace, and diversity within the album, covering a lot of reggae sub-genres from lovers’ reggae, to ska, dancehall, rocksteady, soul and everything else in between. Captain Accident & The Disasters are appearing at various UK venues and festivals and his album, “Slippin’ Up” is guaranteed to be the soundtrack to your Summer. Proper job! Look out for your promo copies and download links very soon. For further info please give me a shout. 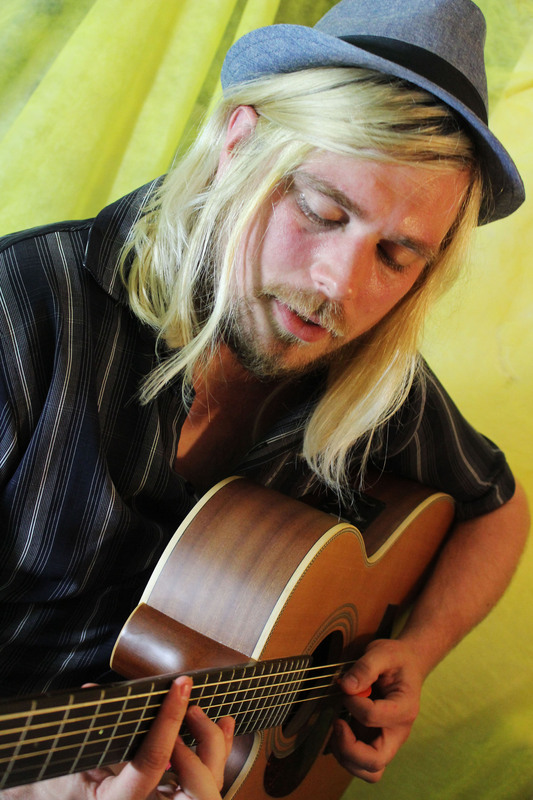 Captain Accident is a reggae / ska / soul artist from Cardiff City. Having played in venues all over the United Kingdom, as well as several high profile festivals, Captain Accident is becoming harder and harder to ignore. In early 2009, Captain Accident was converted from a bedroom project to a live act, much to the delight of Cardiff’s unsuspecting open mic nights and local gigs. He quickly recruited some of the city’s most talented musicians and formed the ultimate backing band – “The Disasters”. In July 2010, Captain Accident released his debut album ‘Pick up the Microphone’ through Trench Foot Records. The album was entirely self-produced over a period of six months, and has received great reviews from all over the country, as well as receiving regular airplay from various high profile DJs, including reggae legend, David Rodigan! Since then, Captain Accident has been touring relentlessly around the UK and Mainland Europe, writing and recording for various upcoming releases in the pipeline. Captain Accident & The Disasters have been lucky enough to share a stage with such artists as Toots & The Maytals, The Skints, Prince Fatty & Horseman, Pama International, Mad Professor, Bad Manners, The Toasters, Sonic Boom Six, Neville Staple, Fishbone, The Wurzels, and countless others. Since their emergence on the reggae scene, they have become a staple part of the UK festival circuit, having appeared at Glastonbury Festival, Secret Garden Party, Boomtown Fair as well as several others. They have also confirmed for Boomtown Fair 2013. Having reached a much wider audience in 2012, through intensive touring of the UK and Europe, as well as featuring on Jaya The Cat’s most recent album “The New International Sound of Hedonism” alongside Itch Fox, formerly of The King Blues, Captain Accident’s eagerly anticipated second album “Slippin’ Up” is due for release in July 2013. Once again, this album is completely self-produced. Captain Accident played, recorded, mixed and mastered every part of the album himself, making for a very personal product that he’s incredibly keen for the world to hear! And if you hadn’t seen a pattern by now, “Slippin’ Up” will also be self-released by Captain Accident! 2013 is shaping up to be a hell of a year for Captain Accident. With UK and mainland European tours in the pipeline, as well as various festival appearances, the release of his second album, it’s getting pretty difficult to ignore this one man reggae machine and his band of Disasters! As more and more people are beginning to jump on the bandwagon, national recognition seems to be just on the horizon. For all further information/ guest lists / promo copies / download links etc please contact me. This entry was posted in Press Releases and tagged Blueberry Norwich, Boomtown Fair (Chai Wallah’s) Winchester, Boomtown Fair (Hidden Woods) Winchester, Captain Accident, Captain Accident Slippin Up, Captain Accident UK tour, Clumsy Productions, Clwb Ifor Bach, Frog & Fiddle Cheltenham, Hairy Dog Derby, Head of Steam Newcastle, Hobgoblin Staines, New Cross Inn London, Nozstock Hereford, Simon Nott PR, The Cherry Tree Canterbury, The Ivy Leaf Sheerness, The Lounge Bar Alton, The Maze Nottingham, The Parish Huddersfield, The Soundhouse Leicester, The Vaults Bishop’s Castle, The Winchester Gate Salisbury, Tonefest Dorset, UK reggae. Bookmark the permalink.